Hey guys, hope you’re well and having a wonderful day! I’m so excited to share today’s post with you. 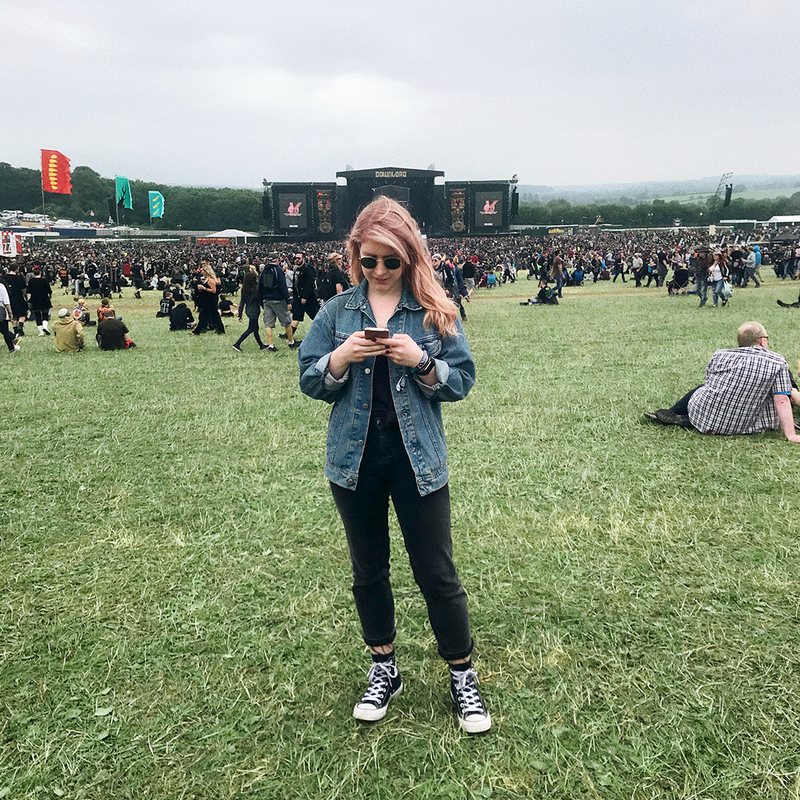 I know it’s something a little different as it’s a photo diary rather than anything with an outfit focus… but it covers such an amazing weekend, and I’m so happy with how it turned out! 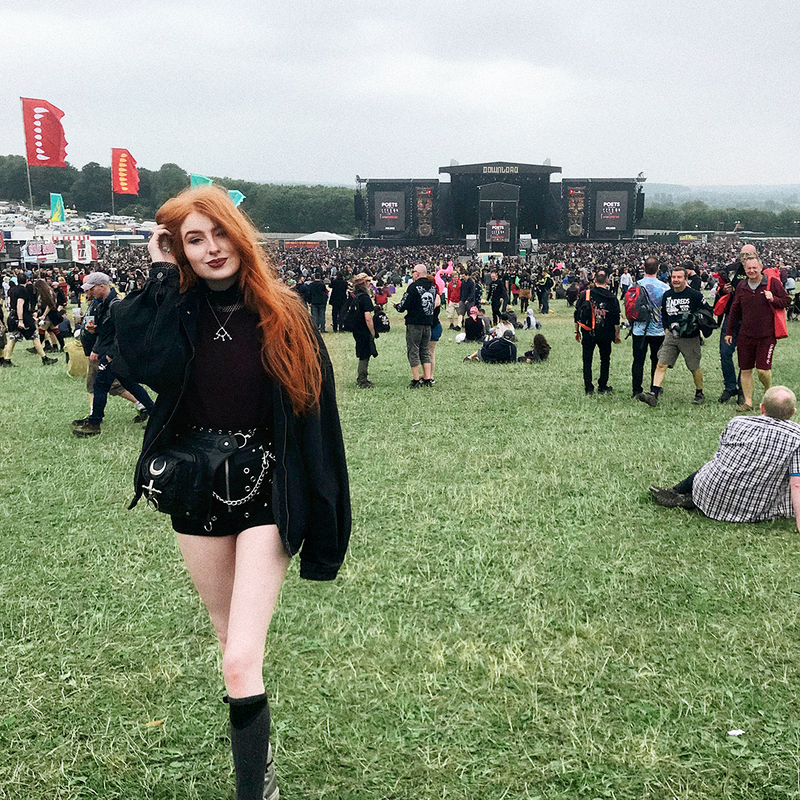 Recently, I was invited to Download Festival with the kind people over at Zippo. I’d never been before, but I have fawned over the lineup every year since the age of 14, so I was so over the moon to finally be able to go! 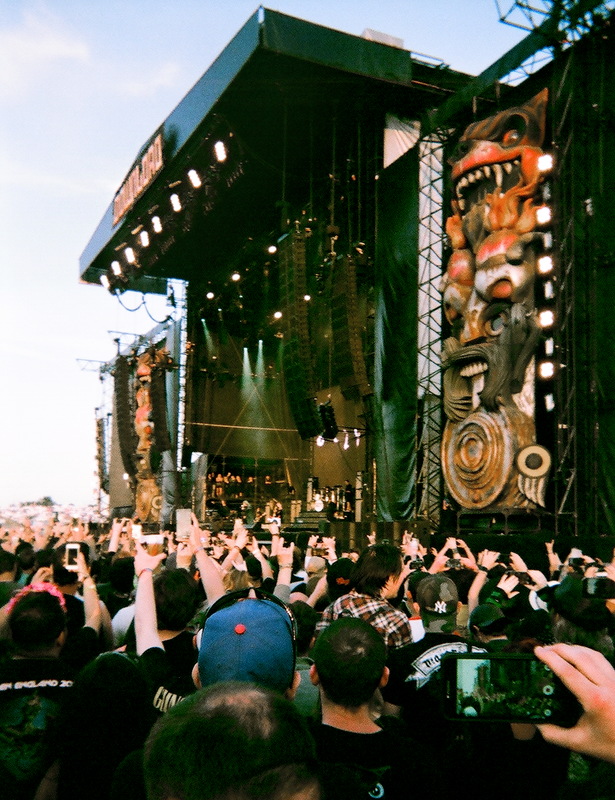 With an incredible lineup headed up by Avenged Sevenfold, Guns N’ Roses & Ozzy Osbourne, this year was SO strong. 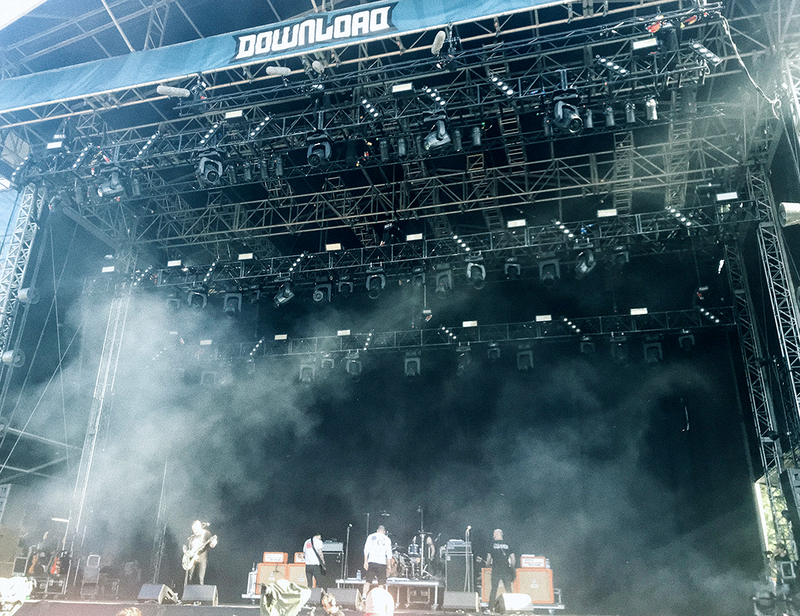 Headliners aside, some amazing artists played including: Parkway Drive, Marilyn Manson, Asking Alexandria, and one of my all-time favourites – Alexisonfire! If you’re interested you can check out the lineup here. I headed to Donnigton with my good friend Jess (in the picture below!) who was kind enough to also be my photographer for the trip. She’s a professional photographer so I’m always in the best hands when shooting with her! 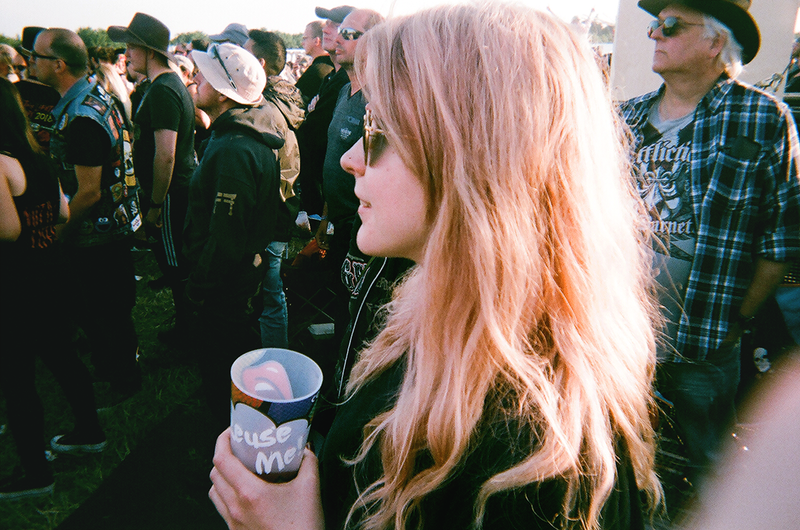 We shot this blog post between us, using a combination of disposable film cameras and iPhones. It’s a far cry from my usual blog post set up, but I’m so happy with how everything came out. 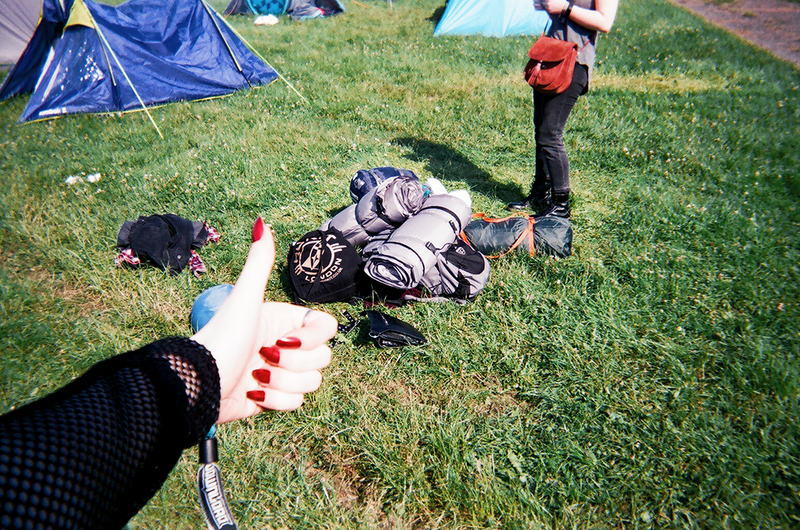 I hope you enjoy having a look through our documentation of the weekend! It was a little bit overcast/chilly on the Saturday, so I layered up my planned outfit with a fleeced jumper, a jacket and long woolly socks. Although I regretted my choice while dancing – and awkwardly clinging to all my extra layers that I was too warm to wear, haha – it was so worth it when it chilled off in the evening as we headed back to camp! 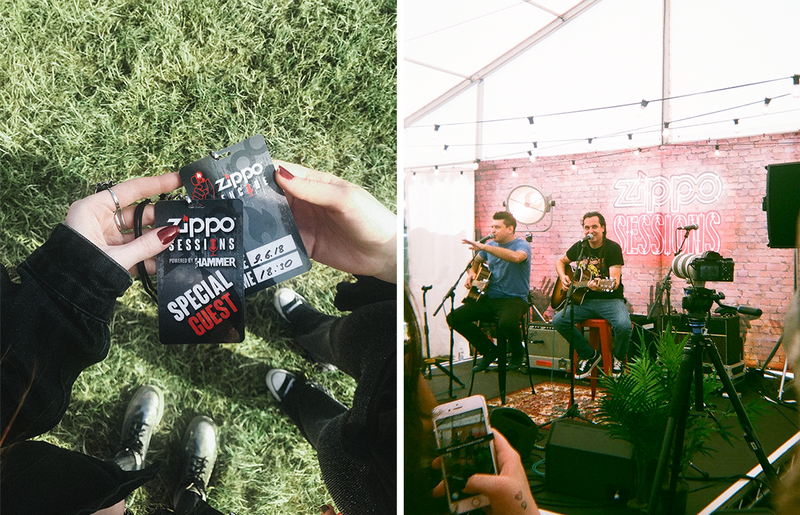 As we were invited to Download by Zippo, were lucky enough to attend the #zipposessions. 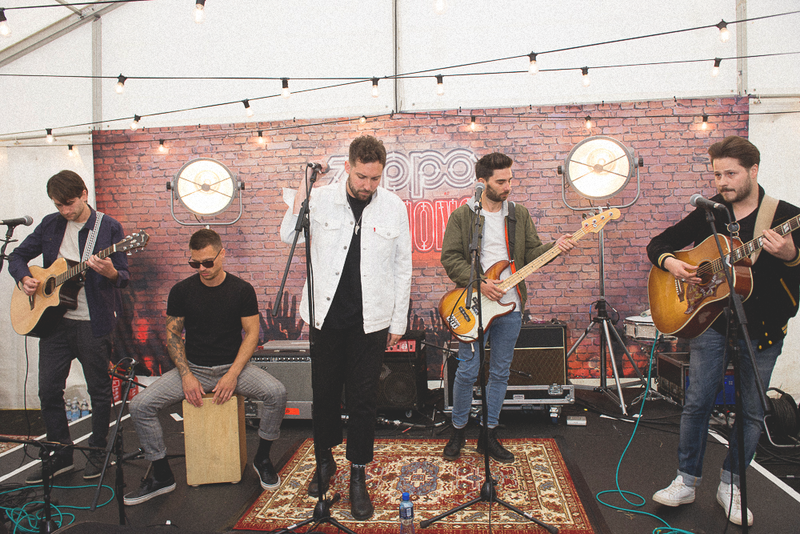 These were secret acoustic mini-sets, set up by the lovely lot at Zippo Encore. 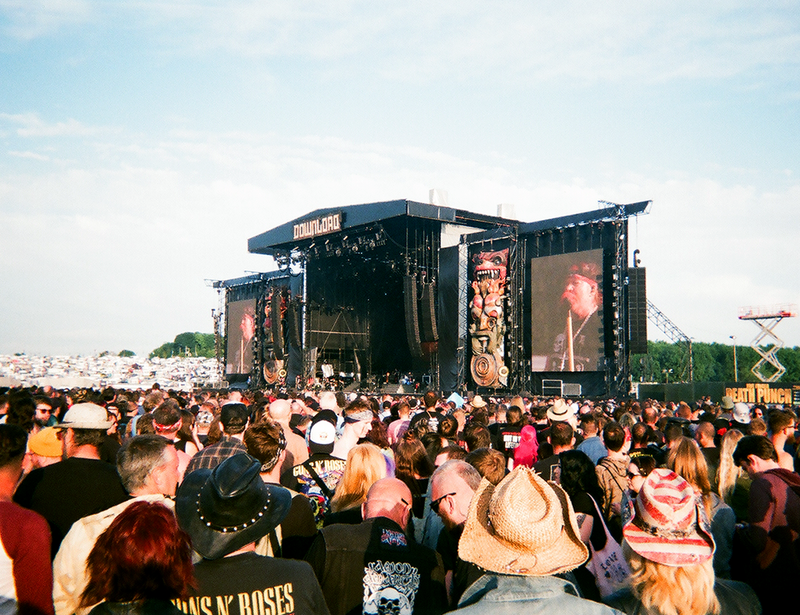 Each session featured a band from the festival lineup, and each session only had 100 tickets available. This made it feel extra intimate and special! To get into one of these sessions, you just had to buy one of the Download 2018 Zippo lighters from the Zippo Encore stall. Check out mine below – can confirm I now have the most badass way of lighting candles possible! Upon buying your lighter, you were given a time to return to the stand for the secret Zippo Session. The artist is kept under wraps until the very last second – even when you come back for your pass (below) it’s hush-hush! So… I’ve probably got you wondering; who was playing these super-secret sets? The incredible billing of: You Me At Six, Nothing More, Asking Alexandria, Baroness, and Less Than Jake! Seeing bands like that play acoustically, and in such an intimate setting was just such an amazing experience. 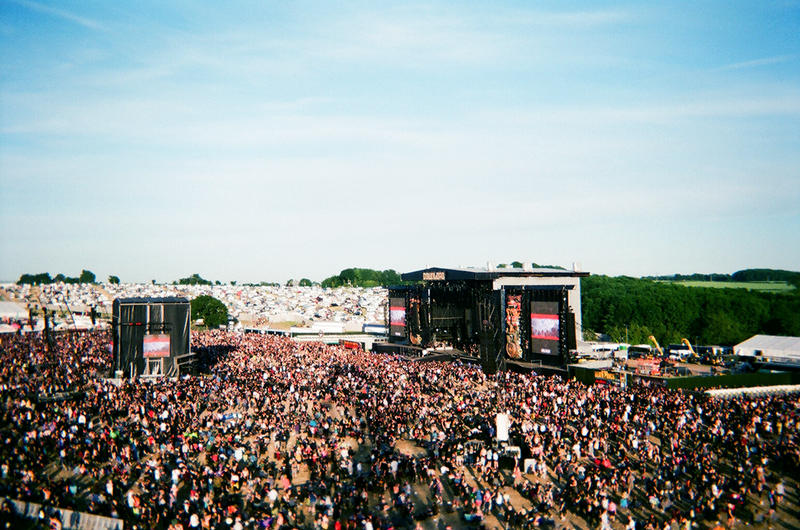 We unfortunately missed YMAS’ set, due to still being travelling at their set time (3pm on Friday – train problems! ), I feel so envious of the lucky 100 people that managed to catch this one! 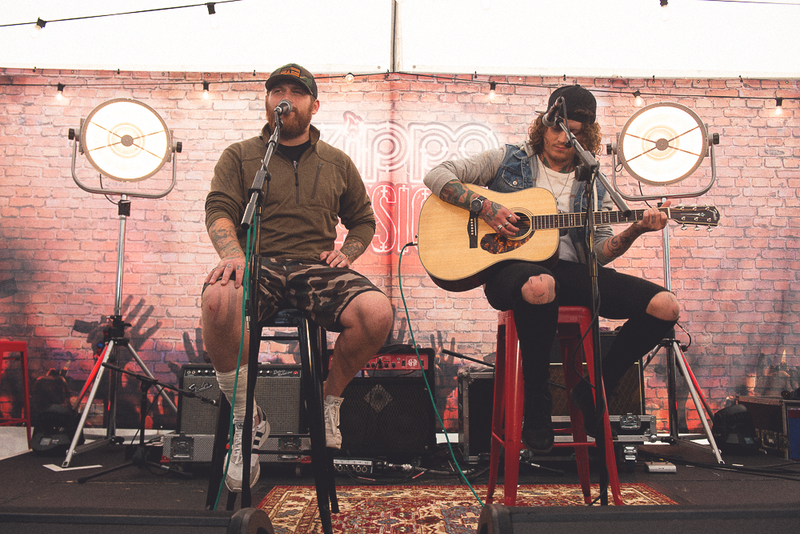 Ben & Danny from Asking Alexandria’s acoustic set was honestly one of my top highlights of the festival. You can catch a couple of clips of this show on my Download IG Story Highlight! In particular I would recommend the acoustic version of ‘Moving On’ that Danny played solo… GOOSEBUMPS. I go back and watch it on my phone more frequently than I’d like to admit, haha. Hopefully a professional video will be uploaded soon – I did see one being recorded. I’ll update here if I see anything! 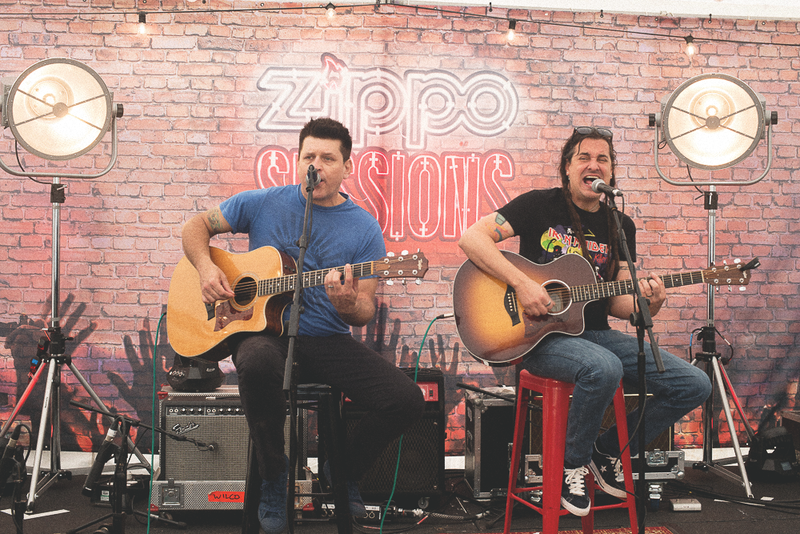 Less Than Jake was such an interesting band to see acoustically – especially as it’s rare to see them playing stripped back! They use trombones and saxophones in their music, so hearing it with just two guitars felt like such a treat. Again, there’s a snippet of that set on my IG Story highlight – an awesome acoustic version of Suburban Myth. The sun finally came out for our final day in Donnington! 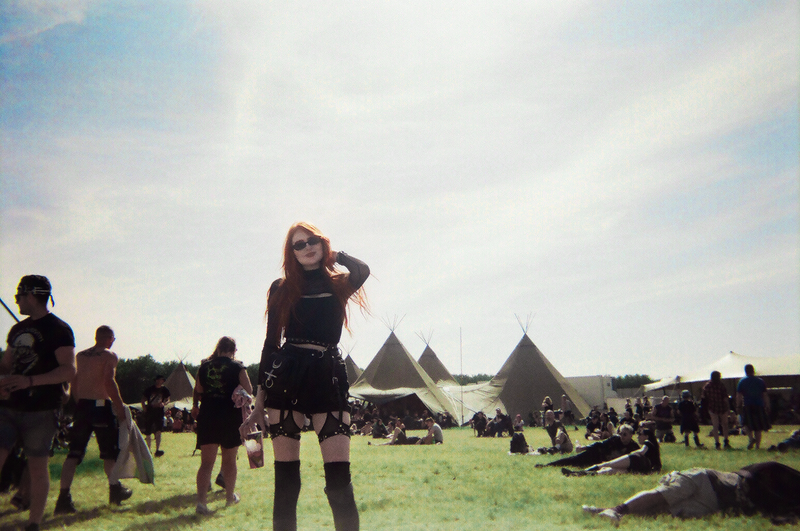 I think this was my favourite outfit of the festival – even if putting all these garters on in a tiny tent was a PAIN. The base of this outfit is just a simple cami and denim shorts combo. 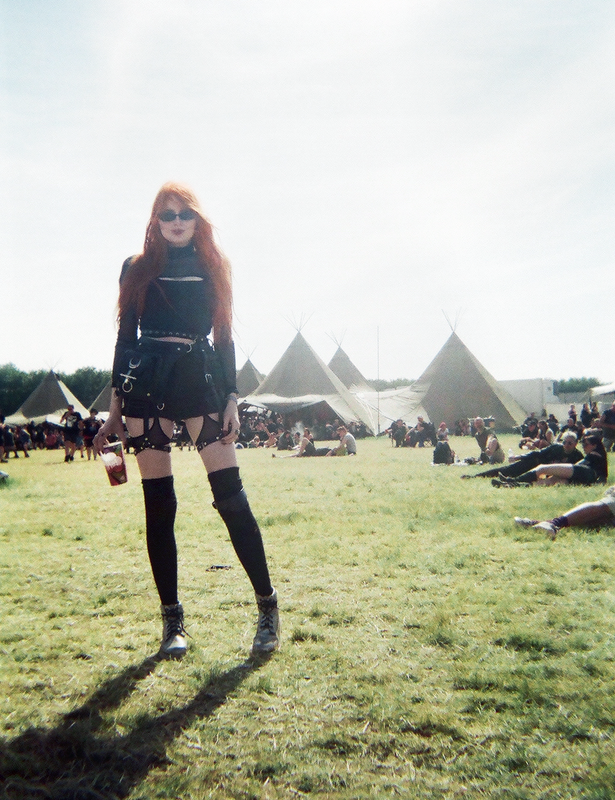 However adding all the extra mesh & vegan leather layers is what makes this outfit stand out in my mind as a fave! It’s small, but hopefully you can just about make out the Prince of Darkness in the shot above! He and his band put on a truly an amazing set (Zakk Wylde’s guitar skills are just as other-worldly in person). 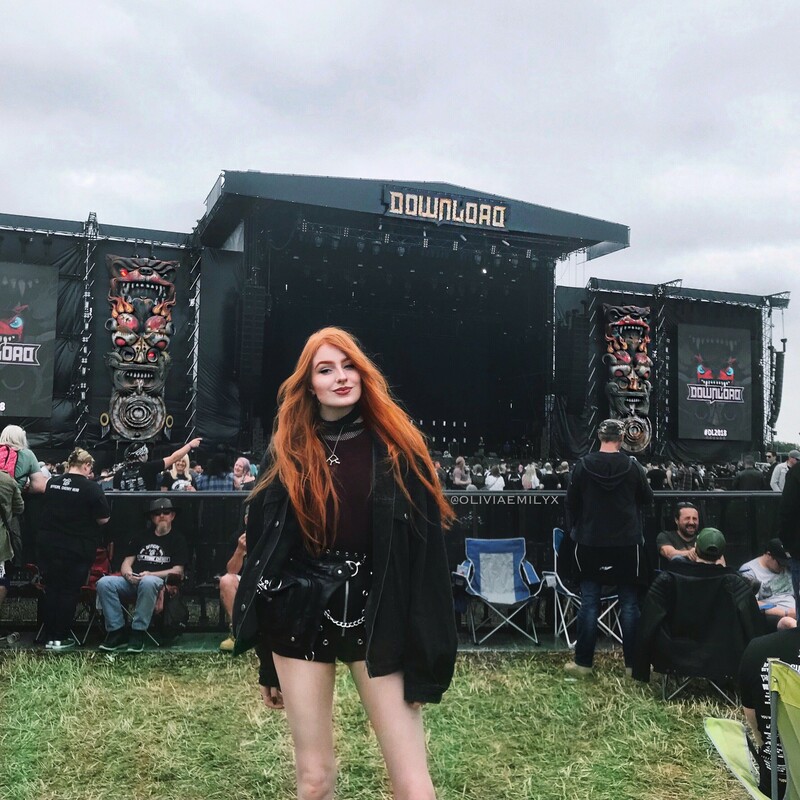 I never know how to round blog posts up, and as this photo diary thing is new to me, I’m now doubly unsure of how to conclude this >.< All I can say is it was honestly one of the most wonderful weekends! So much fun, laughter, good music and lovely people. 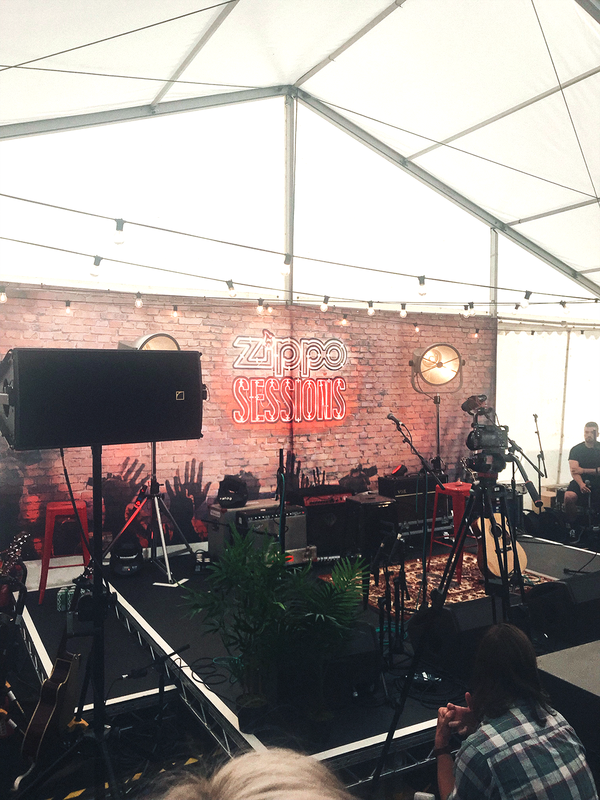 Thank you so much to Zippo for taking us along, and for putting on the incredible Zippo Sessions. I feel so fortunate to have experienced those amazing intimate sets – if you ever get the opportunity to go to one I cannot recommend it enough! 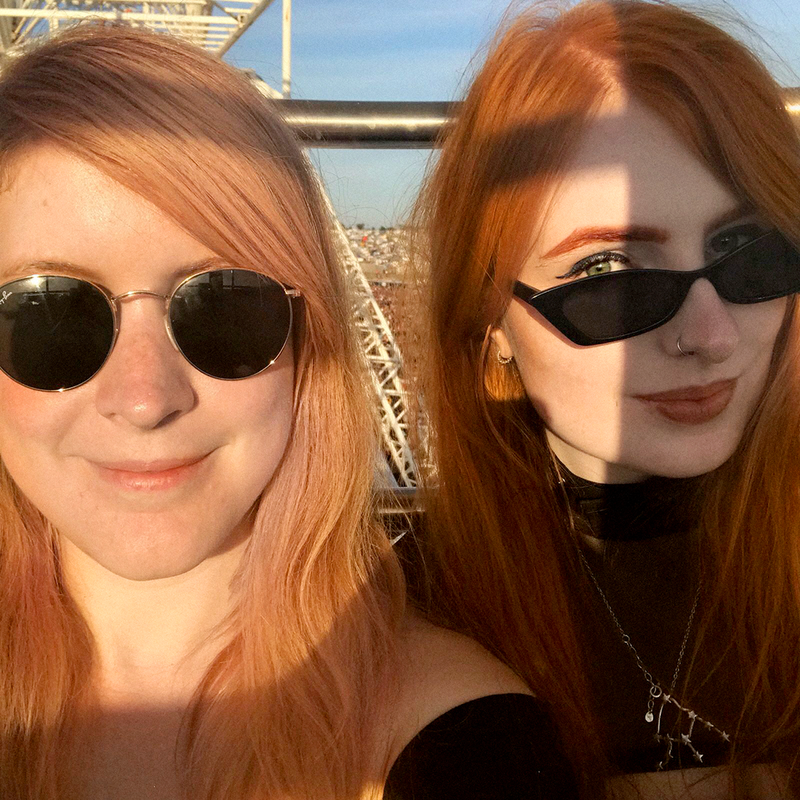 Anyway, I’ll love you and leave you with some pictures we took on the ferris wheel. 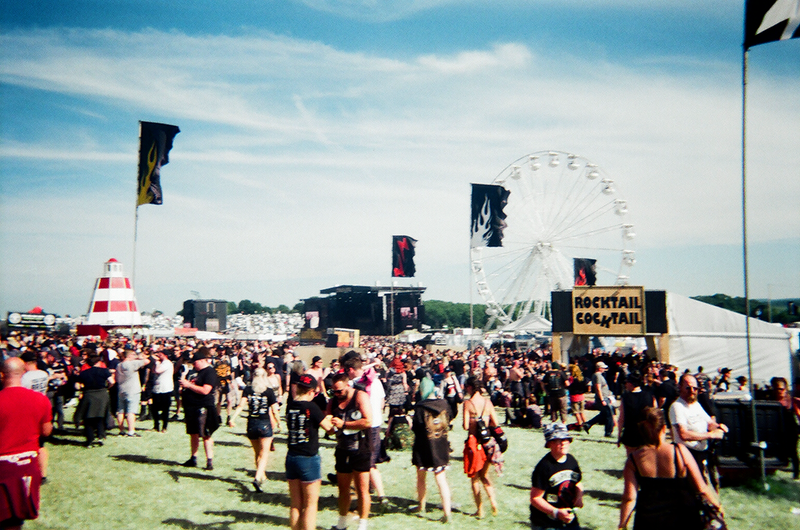 Have you ever been to Download Festival? Previous Post AHS Coven Vibes in Deandri. This photo diary type is also nice! I love reading these types of posts! It sounds like you had such a good time!